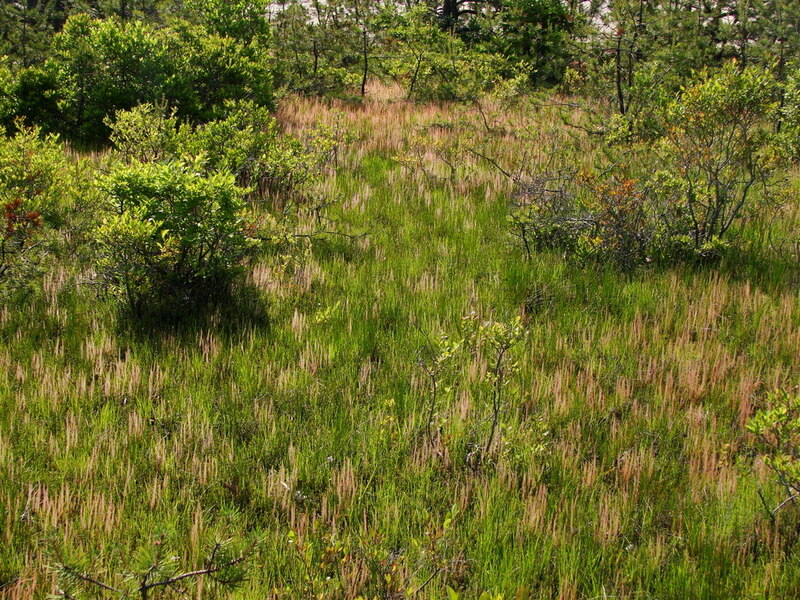 Earlier in June I travelled down to the South Fork of Long Island where, with funding from The Nature Conservancy, I explored various natural areas in search of rare plant populations that have not been seen in 20 years or more. A sedge that had not been surveyed recently was Carex debilis var. 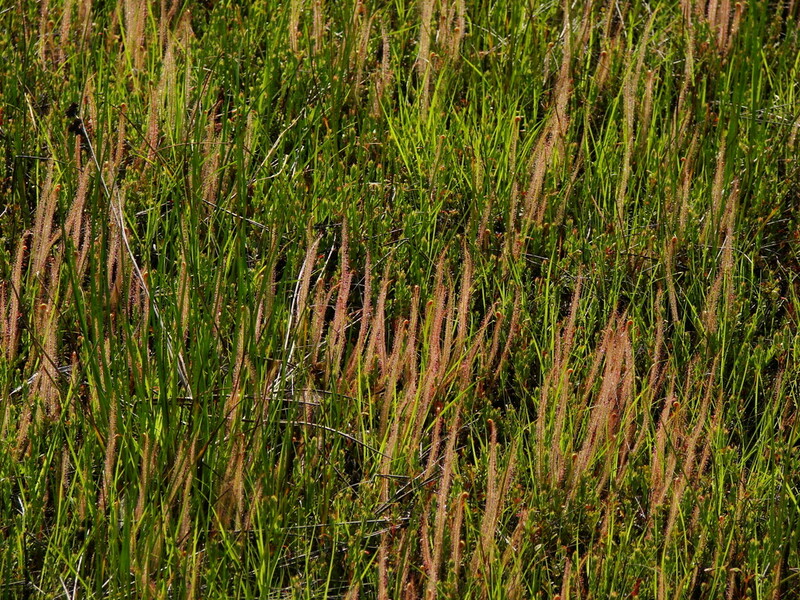 debilis or white-edge sedge. The orginal surveys were somewhat vague in their location information so my object was to find them again and update their locations with GPS and obtain quality and quantity information for each population. One of the locations was Big Reed Pond, north of the village of Montauk. After a long walk on the beautiful trails, I found the population that turned out to be in good condition but containing only about 10 plants. 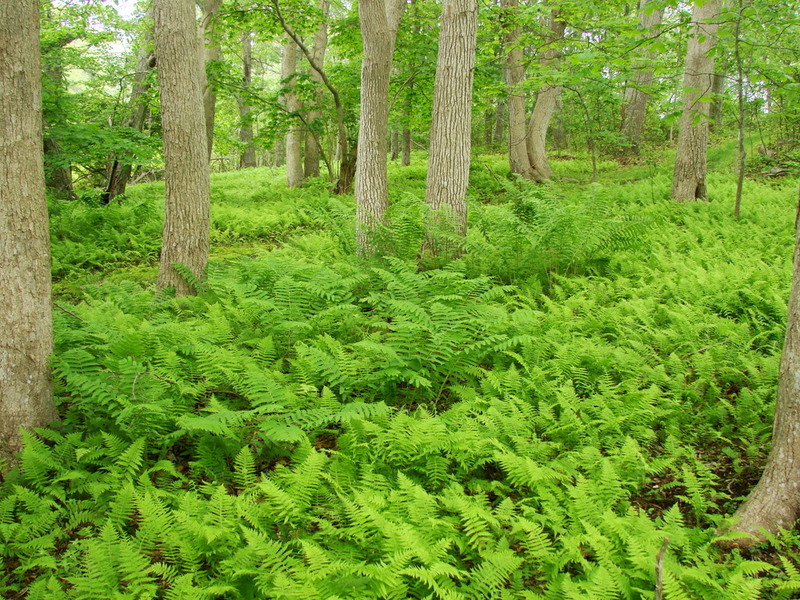 The fern-filled understory of the swamp forest. 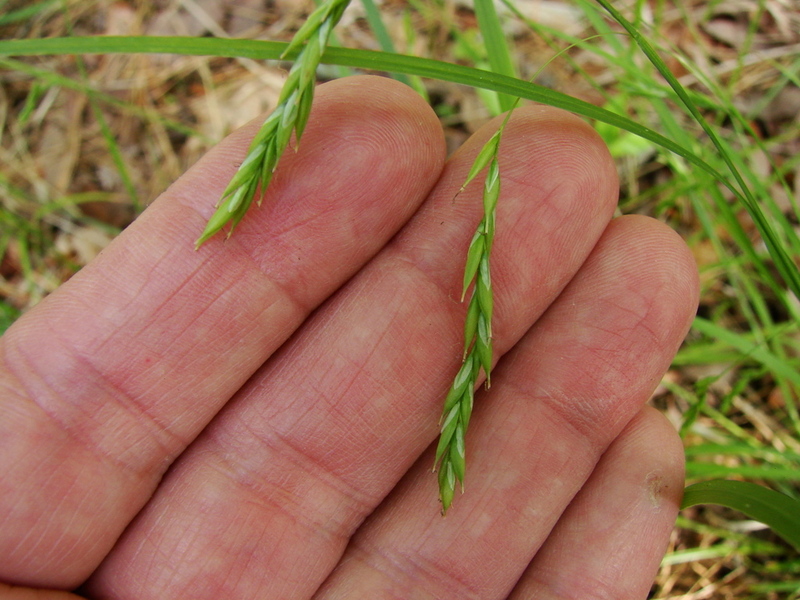 Carex debilis var. 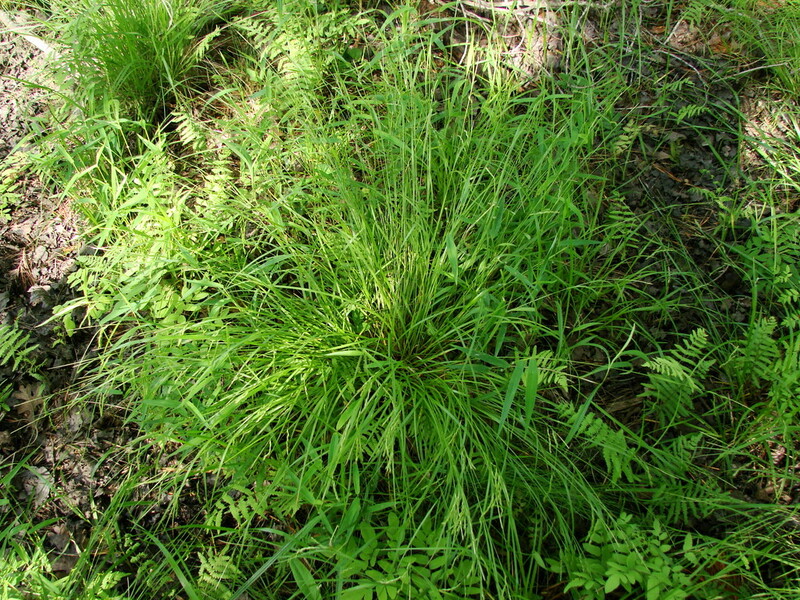 debilis is a open clump-forming sedge with culms that tend to be lax. 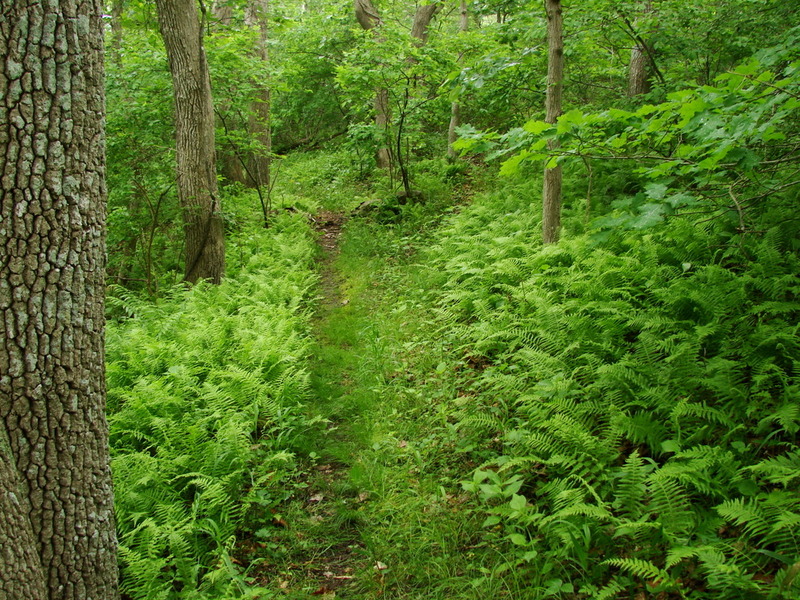 The clumps were along a small trail in the understory of red maple, black gum and oaks. The perigynia of this variety are drooping, have no hairs and are the longest of the species, averaging about 7 mm long. The beak and the edges of the scales are white-edged and translucent. 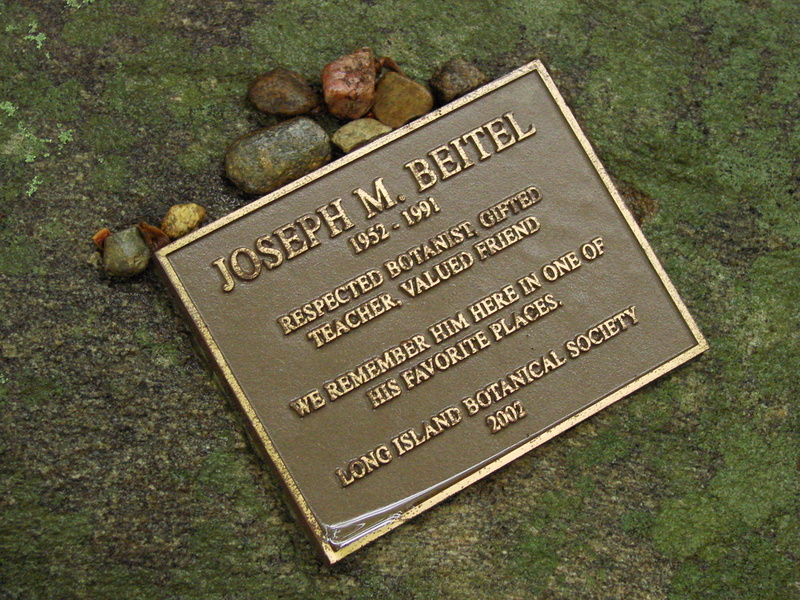 On my walk back to the parking lot I passed the memorial plaque to Joe Beitel, a well-known botanist from Long Island that sadly, I never had a chance to meet in person. Nearing the parking lot the forest turns to shrubland with interesting plants like winged sumac and the two Southern arrowwood varieties (more about these varieties in a future post). 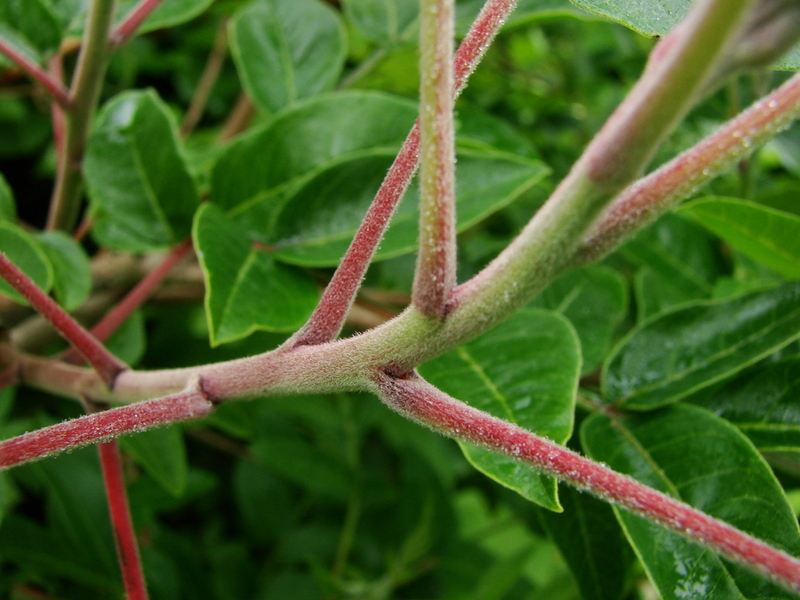 The hairy stems of winged sumac. On the way back to my base of operation I passed a wet sandy swale that was full of the rare threadleaf sundew or dew-thread, Drosera filiformis. The sun shining at a low angle produced small clouds of dew above the surface. 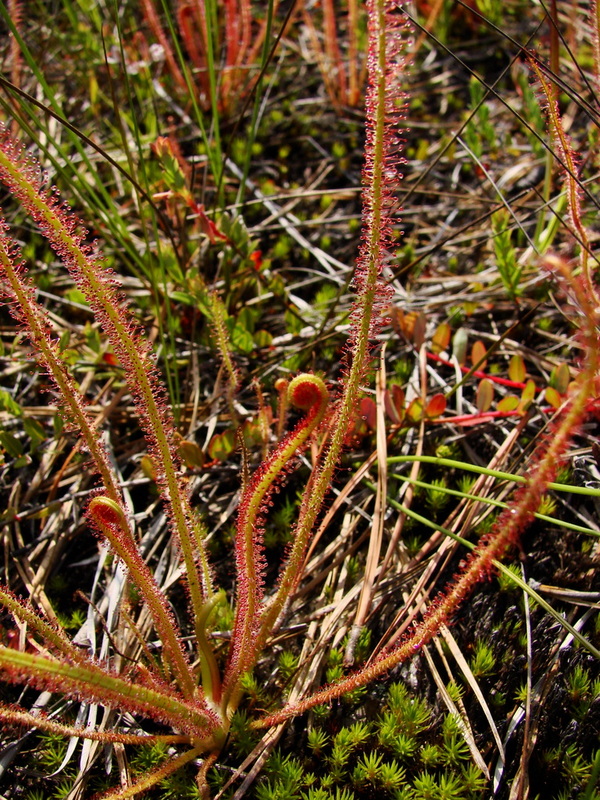 In New York, these sundews are only found in Suffolk County. 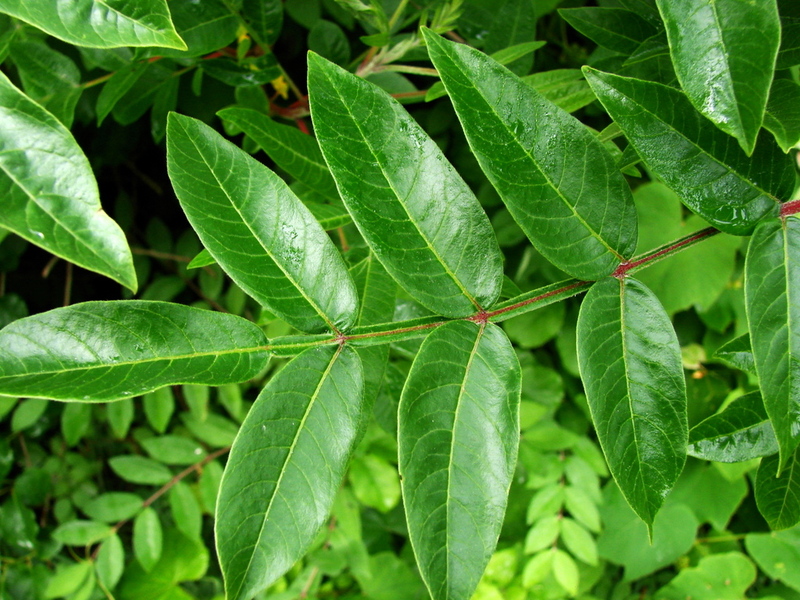 The long leaves are covered with sticky glands that capture insects. 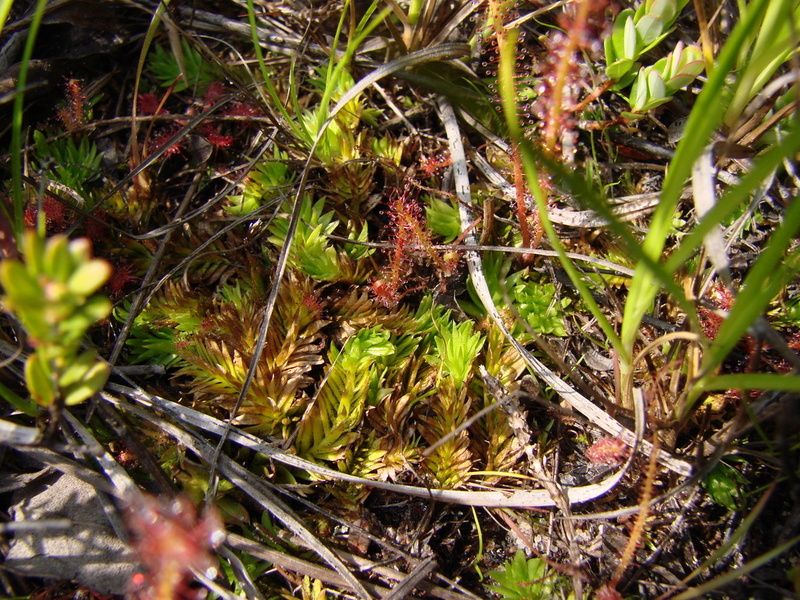 Also hidden among the sundews was one of the few populations of Carolina clubmoss, Pseudolycopodiella caroliniana, that exists in New York. Interestingly, this species has one population in Suffolk County, one in Nassau County and one way up in a fen near Lake George, an unexpected distribution. This species has small, light green prostrate creeping stems. No strobili were evident yet on these plants. I am going back to the South Fork next week to look for more of its interesting rare plants. I can’t wait. This entry was posted on July 8, 2010 at 10:50 am and is filed under Field Trips. You can subscribe via RSS 2.0 feed to this post's comments. You can comment below, or link to this permanent URL from your own site. Thanks for the Dew pics, Steve. Neat plants. That dew thread is amazing! And here I thought all sundews looked pretty much alike (round vs spatulate, though). How interesting to see a completely different form. Does it occur anywhere upstate? This is just an Atlantic and Gulf coastal species ranging from Massachusetts down to Florida and Lousiana. We are at the northern edge of its range with scattered populations on eastern Long Island. Maybe I can get some flower shots later as well.